At the Council on Foreign Relations last week two South Asia watchers Amb. Robert Blackwill and Stephen Cohen were asked the ‘unthinkable question’: ‘What happens if there’s another Mumbai attack?’ Both replied that there would be a ‘vigorous’ India reponse that would most likely be military. Both suggested that this owed to the personality of the new Indian prime minister and the sentiment within India. After the initial promise of an opening up to Pakistan in Nawaz Sharif’s India visit of May last year, India has since August been tough on Pakistan. It has engaged in an exchange of firing on the Line of Control and if Pakistani allegations are to be believed also been supporting Pakistani insurgents, Baloch and the Pakistani Taliban, from across the Afghanistan border. In so far as this hardline stance has been tactical it appears to have borne fruit. Former ISI head and Track II presence, Mahmud Durrani, is reported to have met India’s National Security Adviser Doval and its new foreign secretary, Jaishankar, in what might have been an attempt to seek out India’s position on a resumption of talks. The Pakistani ambassador in Delhi is also meeting Jaishankar. More significantly, the new regime in Delhi has managed to ensure that there has been no terror attack out to test it, besides one in Kashmir designed to disrupt elections there. 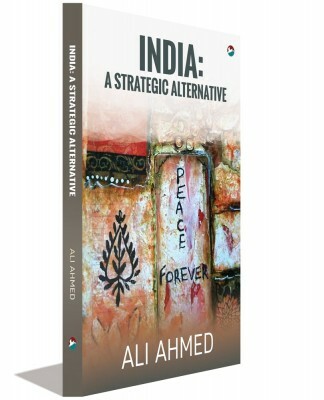 The advantage of the hardline is that it sends the unambiguous message that India would go military in its response. This is to deter any adventurism in Pakistani national security establishment. This can be reasonably be expected to be registered by the army and its intelligence agency since they are busy in rolling back the jihadi strongholds using the outrage against the terror attack on a school in Peshawar to good purpose. However, the danger is in ‘rogue’ and ‘out of control’ terrorist elements taking advantage of India’s response to create regional instability. Profiting from resulting Pakistani nationalist and religious reaction to any Indian action, they may seek to expand their space once again in Pakistan that is currently being attenuated by Pakistani military and legal action. How can India achieve its aim without presenting terrorists with their desired opportunity? The likelihood of such an attack is low since the Peshawar terror attack is being taken as a watershed. Therefore, there is unlikely to be any sponsorship relying on plausible deniability from within the establishment. It would be remarkably difficult to mount a major attack without such tacit and covert support as attended the 26/11 attack in Mumbai. In the hypothetical case that a terror attack does occur, the breadcrumbs’ are unlikely to lead either clearly or directly to the Pakistani establishment. India will have to reckon with this when it considers its response. In light of the new government having invested in building up an image of itself as distinct from its predecessors in terms of decisiveness, it would require taking action. Whereas its predecessors, both the United Progressive Alliance and the National Democratic Alliance regimes earlier, have considered and rejected a military response, it is widely expected that Mr. Modi may be more willing to take military action. Even if Mr. Modi’s self-image does not push him towards taking military action, there are other ‘pull factors’ that may incentivise such a decision. The military options he has are probably more fleshed out than earlier. The Indian army has given itself the ‘Cold Start’ doctrine and over the last decade has been able to practice it. These exercises have likely kept in mind the criticism directed at Cold Start and it possibly has a menu of non-escalatory options. Since 26/11, major arms acquisitions that have placed India on the top of the table of arms importers have helped with modernisation. 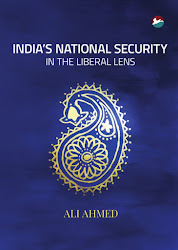 With an intelligence czar and old Pakistan hand as NSA, India possibly has the levels of intelligence and synergy necessary to execute a variety of strikes including counter terror and counter military by land, air and intelligence means. Where can India proceed with such military action? Firstly, terror camps are an obvious target. The ones across the Line of Control (LC) are well known. These can be hit by artillery and those further in depth by air. Secondly, military objectives along the LC are next. With Pakistani military embroiled over the past half decade on its western border and the decade long relative quiet on the Line of Control, there are gaps and weak spots that Indian military can take advantage of, do a ‘reverse Kargil’ of sorts. Thirdly, in the IB sector, the plains do not lend themselves for such action given the developed terrain and terrain obstacles along their length. However, a mechanised foray in the less-escalatory desert sector is possible. Between the two, military action in the plains sector will bring home the dangers more speedily to Pakistan and its Punjabi elite. 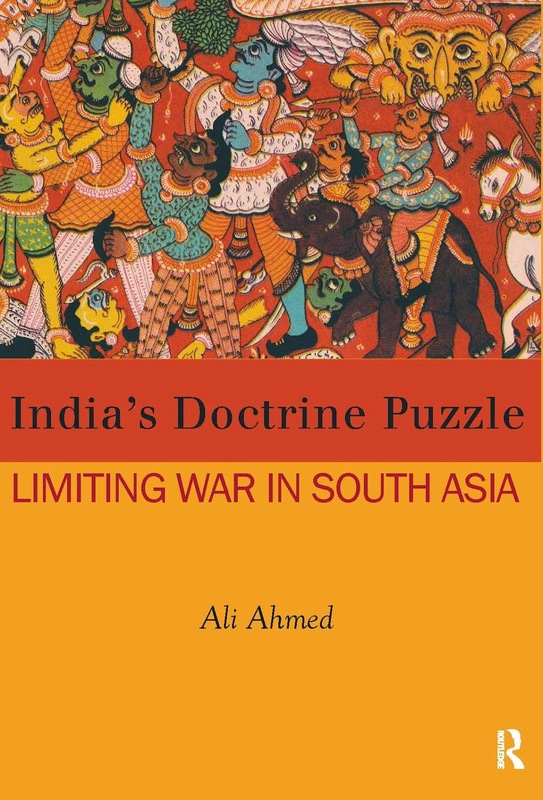 India’s strategic priority of economic development suggests a limited military action. Therefore, in its choice of options it will likely favour the least escalatory one. The military action will be such as to leave Pakistan without a plausible rationale for an escalatory counter. For instance, if military objectives on the LC are taken, then India may likely go in for those that help it improve its defensive posture, rather than expose Pakistan to further Indian offensive. Alongside, if India does not mobilise, then Pakistan would not be pushed into an over-reaction. Finally, the military action needs to be such as to drive a wedge between the establishment and its potential jihadi support base by making the establishment weigh in favour of a ‘Pakistan first’ strategy rather than a religious ideological one. This can be best done by quick retraction of forces in order that Pakistani military bears down on the jihadists who provoked the situation at the cost of Pakistani security. Pakistani reaction for its part will be to threaten escalation to get international pressure to bear on India as also help reopen the Kashmir issue. It will have to be seen to be robust enough a counter to assuage nationalist upsurge in Pakistan. This will keep the religious right wing from taking political advantage. Pakistan would also not like to see international pressure clamp down on it instead for fear of escalation. Therefore, a rational counter on its part will likely be non-escalatory.